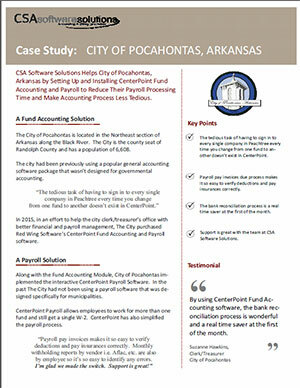 How Does CenterPoint Fund Accounting for Municipals Compare with Basic Accounting Programs? Red Wing Software provides software to help cities/municipalities be in complete control of their own finances. CenterPoint Fund Accounting Software for Municipals is Red Wing Software’s accounting application that is a great fit for small to medium-size towns and cities that are outgrowing their basic systems and need more functionality. Red Wing Software customers understand the benefits of using CenterPoint Fund Accounting to manage their city’s finances, rather than using a basic program. Because of their wide-appeal, basic, mass-marketed accounting systems get a lot of press and have a massive number of users. These products are top-of-mind for many people in search of accounting software. Many people ask us to compare CenterPoint against those products. CenterPoint Fund Accounting includes the basics you need plus specific features for municipals. Here are some of the main differences between CenterPoint Fund Accounting for Municipals and basic accounting programs. To summarize the reason: many CenterPoint users come from basic programs and are seeking specific features that can help them manage their city better. Track income and expense by fund, department, and/or locations. With basic systems, tracking options are limited. Tracking financial operational results can be done by fiscal year or calendar period. Many basic systems limit this information to yearly. CenterPoint has the ability to produce a customizable six-month financial report for local or state reporting. Basic systems do not typically offer this report. Track repair and maintenance costs to assets for easy reporting and analysis of total costs. Most basic systems do not track specific asset and equipment maintenance costs. CenterPoint offers a financial analysis tool to easily cross-section your results by fund, department, and location. Basic systems offer generic financial tools that are not easily customizable. Allocate labor across multiple funds and departments with CenterPoint. Basic systems allow tracking by company only. A setup wizard will guide you through the process of setting up items to track and manage your city. Many basic programs only guide you through the setup of only basic information. Not all programs are created equal. Any accounting system has its positive and negative points. Just because something is used and known by the masses does not mean it’s the best product available. 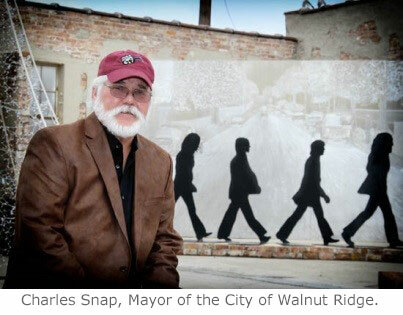 Basic programs do a great job for many municipals, for many years. But when your city starts to outgrow its accounting software feature set, it might just be time to contact Red Wing Software. 800-732-9464, info@redwingsoftware.com. A Purchase Order module is now available for CenterPoint Fund Accounting Software. This feature can be a great help in managing purchases and requisitions! Read the full news release by clicking on this link.